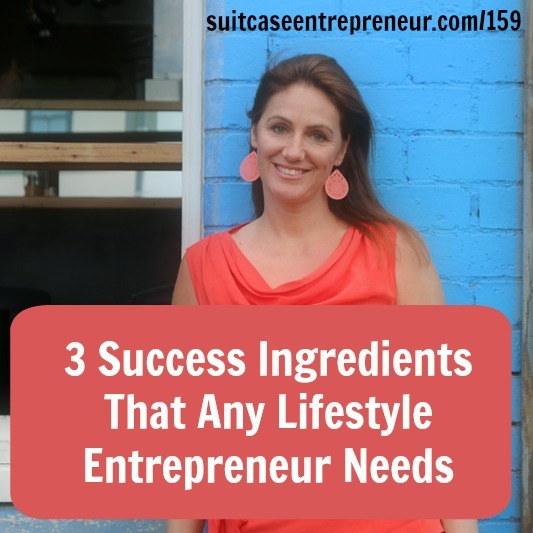 It’s taken me a while to figure this out, but when you’re a lifestyle entrepreneur, especially one living all over the world, there are 3 key ingredients that will make you infinitely more successful. You have to be in a place that makes you happy and brings you energy and fits your personality. If you are in a dwelling and destination that suits who you are – whether that be the tropics or the mountains, the city or the countryside you will feel much more in alignment with your life and your work. When you’re living an unconventional lifestyle it’s important to spend time with people who ‘get you’ and who understand why you live the way you do and what drives you. Your time is precious, so spend it with the right people who feed your soul, have wanderlust too and are building purposeful businesses. Forming a mastermind with 3-4 of your peers and setting up regular meetings in person or online weekly or monthly to discuss what’s working in your business is amazingly powerful. Take that further by attending specific intimate conferences, or mastermind retreats that are going to push you, challenge you and stretch you. Don’t settle for less. Consider these three success strategies for yourself: Are you in the right location? Are you hanging out with like-minded people? If not, how can you create these opportunities and form your own powerful mastermind. Listen to this episode now to learn how to do this yourself. Join my Portugal Mastermind Retreat on June 25. Only 3 spots left! Then get the latest episode email updates and download ‘How to Start a Podcast that Matters’ (valued at $77) for FREE! It’s obvious that Natalie loves what she does. Great job on the interviews. The info is clear and to the point. Leave yours on iTunes here!